Please Note: OFCOM have ruled that re-radiating antennas are illegal and so these can no longer be purchased nor used in the UK. 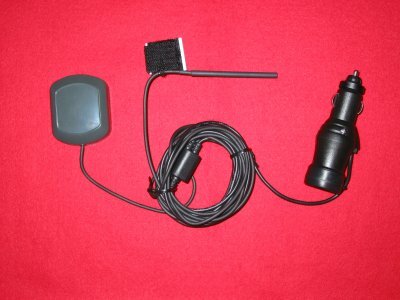 One of the must have GPS Accessories for anyone looking to use a GPS Receiver in-car is a re-radiating antenna. 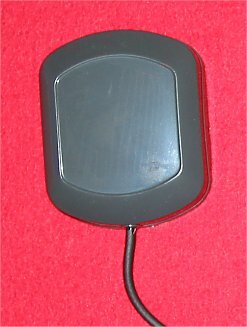 A re-radiating antenna re-radiates the GPS signal from outside the car to inside the car. 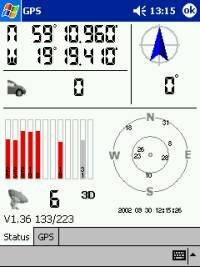 If you have a vehicle which has a coated windscreen to keep the heat or sun out, or a windscreen with a heater element coil in it allowing you to defrost the windscreen quicker in those winter months, then this may reek havoc with the GPS signals trying to come through the windscreen to your GPS receiver. Re-radiating antennas aren't that expensive. They start at around �45, and although they don't look much, they do the job well. All re-radiating antennas need to be powered, so most will come with a cigarette/accessory plug. 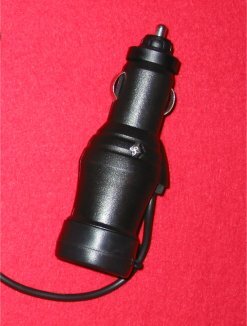 All you simply do is plug this into your cigarette/accessory socket, place the GPS style mouse somewhere external on the car, eg roof, bonnet, somewhere it will get maximum exposure (eg not a side wing of a car), and then you just feed the cable inside the car, attach the sticky back square somewhere in the car about 45cm away from your GPS receiver (the sticky back square has Velcro on one side), and then fix the antenna which has a Velcro square to this. 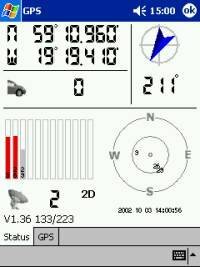 Simple installation, better signal, no drilling of a dash board, perfect! One of our readers Tim Buxton, decided after receiving poor signals on his Navman GPS 3000 that he would do something about it, and purchased a re-radiating antenna. Tim first decided to install this in his Fiat Scudo van which doesn't have a coated heat resistant windscreen, or a heater coil installed. 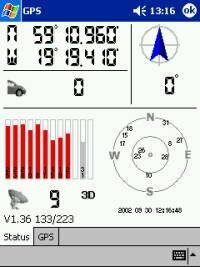 Tim decided to take some screenshots of the GPS Status screens from both TomTom Navigator and Navman SmartST Pro. The screenshots in fig 1 and fig 2 are from Tim's Fiat Scudo Van. As you can see, these satellite locks are between 4 and 6, which is what you would expect from a GPS receiver in a standard vehicle. Tim then took some screenshots with his newly purchased re-radiating antenna which he purchased from GPS Warehouse, and the screenshots are show in fig 3 and fig 4. As you can see, there's a vast improvement on signal. 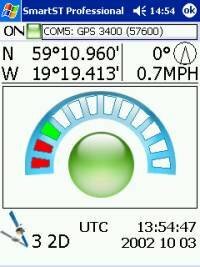 The signal locks have now gone from 6 locks to 9 under TomTom Navigator and from 4 to 9 on Navman's SmartST Pro. This really does demonstrate how the re-radiating antennas operate, and how much signal can be gained from purchasing one of these and installing them in your vehicle. Tim then decided to install the re-radiating antenna into his Renault Scenic which does have a reflective screen, and again the signals have increased. The satellite lock has now gone from 2 on TomTom Navigator and 3 on Navman SmartST Pro, to 7 on TomTom navigator and 6 on SmartST Pro. I must admit I was amazed at the signal strength difference. Personally with my Navman I'll receive around a 5 on an average day, to around 9 on a good day. 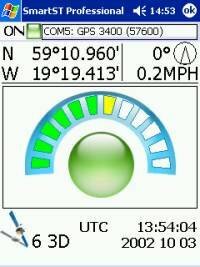 The re-radiating antenna that Tim purchased from GPS Warehouse is the GPS-RRAD-45 which costs �44.99 inc VAT. If you are looking for a cableless setup and would prefer a battery operated re-radiating antenna, then check out the Battery Re-Radiating Antenna Review.